Making Your World A More Beautiful Place! 20% off your 1st frame order! 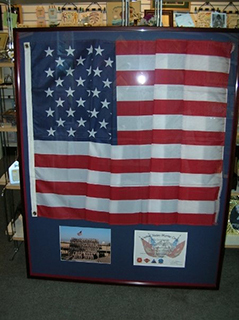 to see Framing Examples and some of the Gift Items We Offer. Frameworks is conveniently located at Willston Center, 6122 A Arlington Blvd., Falls Church, Virginia, right off Arlington Blvd. (VA – 50), just around the corner from the Safeway. 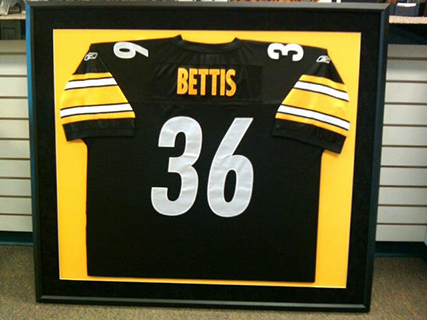 Frameworks has been providing the community with Quality Custom Picture Framing services since 1972. 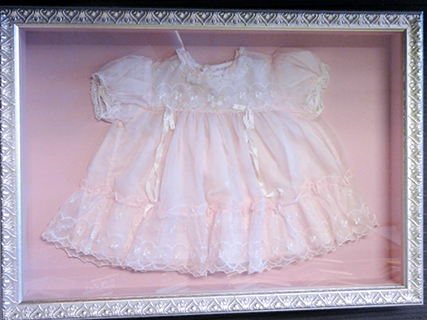 Custom picture framing is expertly done by the professional designers at Frameworks. 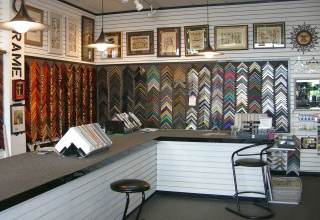 Choose from one of the largest selections of frame moldings in this area. We carry mouldings from Larson-Juhl, CMI, Designer Metal and Nielsen. We feature a large assortment of mat colors manufactured by Bainbridge, Crescent, Peterboro and Artique. 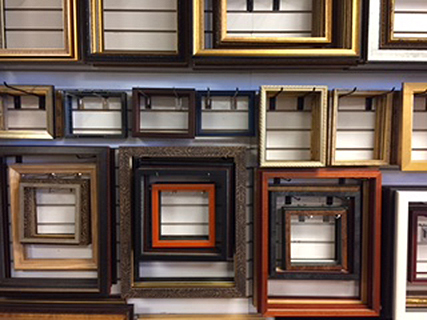 Custom and ready-made frames are available in various shapes and sizes. Mat board and glass are cut to order to complete your picture. 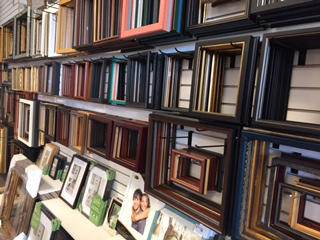 Custom designing, and finishing of frames and mats for every décor has made Frameworks well-known and respected in this area. 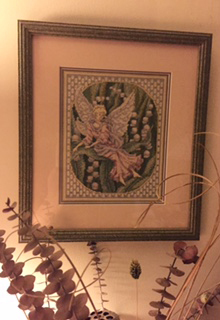 Take that print or needlework you have stored away or that picture you painted last year to them today and have it framed so you will be proud to hang it in your home. You will enjoy doing business there. Advice on the type of frame and color of mat to best complement your picture is happily given. 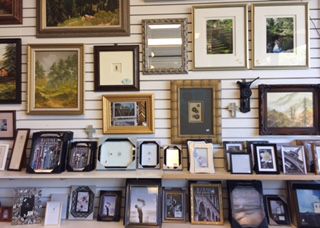 Your picture framing will be done artistically and always at reasonable prices. Your satisfaction is always assured. 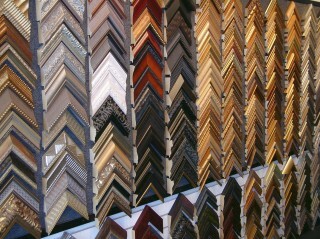 For all your picture framing needs, remember Frameworks. You will be more than pleased with the quality of their work and their friendly, professional service. Protect your valuable documents and art. Frameworks offers Museum Glass which displays the most clarity of color and details in your artwork with the least amount of reflection and which provides UV protection for your artwork. We also have a kids’ toy box to keep your kids occupied while you are shopping with us. 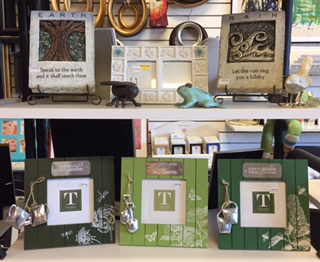 Below are examples of some Shadowbox Framing we have done. 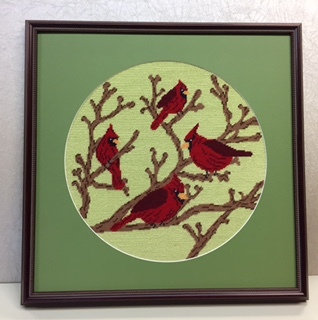 We frame all types of needlework including cross-stitch, needlepoint and crewel. Please come see us and have your lovely pictures or artwork framed. 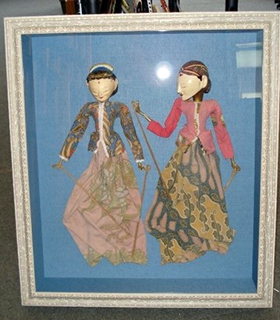 "Frameworks is one of the best Framing shops in the Metropoli tan area. I have had several things framed here ranging from posters, collages and fine art. All of the work has been exquisite. I would not go anywhere else for framing. The quality and workwomenship is splendid!" "Over the last 10 years Frameworks has framed over 45 photographs for me. In every case their guidance on matting and framing has been invaluable. Their work is of high quality and reasonable prices. Frameworks has always done beautiful work. They are good folks who do good work." 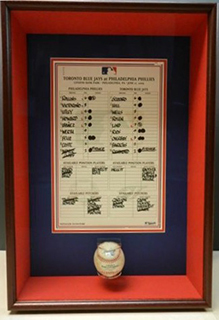 "I just found your website, and I have had several pieces framed for me that were just outstanding. The selections are many, and they are ready in a timely fashion. The ladies are so kind and the work is reasonably priced. Thank you so much." and the entire Washington, DC Metropolitan area. Consider Frameworks when you need a gift. 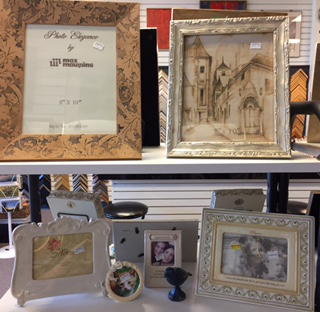 We carry unique photo frames and other unusual items. Frameworks also has a variety of ready made frames available.